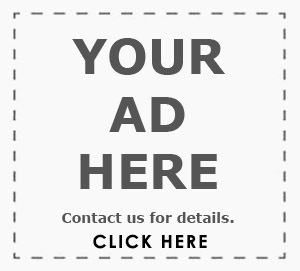 You are at:Home»Regulars»Trail Savvy: Is bigger better? From the purple low-riders of Los Angeles to the blinged-out SUVs in rap videos, we’ve all seen the trend. Huge wheels are now an intrinsic part of motoring culture and modern car design. While giant rims with painted-on tyres may look great stuffed under a wheel arch, they have several drawbacks which are most obviously highlighted off-road. Take the new Land Rover Discovery, for example. Its standard fitment wheels range from 19- to 22-inch, a trend echoed on many premium four-wheel-drive SUVs. This makes a mockery of the 4×4 capability of these vehicles. From personal experience and simple common sense, we know that large wheels destroy any inkling of 4×4 ability − no matter how many diff locks we have, and despite having a traction control system cleverer than a NASA space probe. 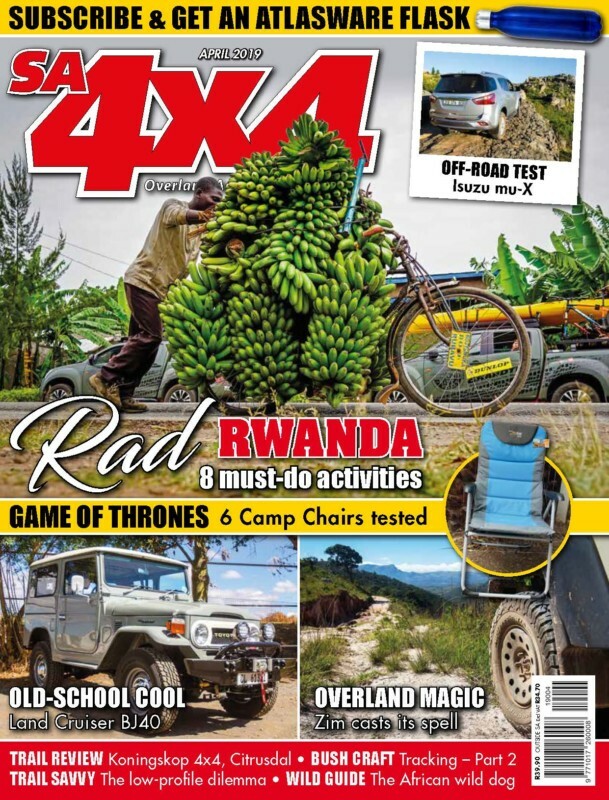 So, in this month’s column we’re going to touch on why large rims are becoming more commonplace, but will also explain why you should avoid large wheels if you do a lot of 4×4 driving. We are talking here about anything in excess of a 17-inch rim, fitted with anything less than a 60 profile tyre. 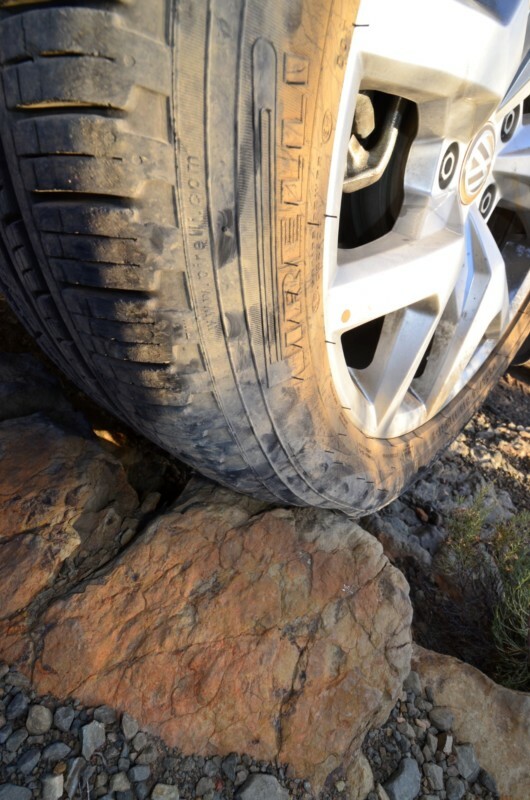 In our book, this is the dividing line between those tyres suited for road use and those that will be capable off-road. Deflate your tyres with caution when they are highway-oriented and fitted to larger rims. Why fit large rims & low-profile tyres? During the last 20 years, low profile tyres came into fashion for several reasons, driven by both necessity and style. If you own a supercharged Range Rover, Porsche Cayenne Turbo, or equivalent high-performance SUV that never goes off-road, the large-rim/low-profile-tyre combination will provide several benefits. These include improved road-holding on tar, high levels of steering accuracy and feel, a crisper turn-in and more-predictable braking. This is primarily because there is less sidewall movement or squirm on a lower-profile tyre. Sidewalls that are less deep also increase the torque-loading capabilities of a tyre, meaning that under maximum stress like heavy braking, the reduced flex of the tyre maintains a larger and more stable contact patch on the road than would a tyre with high sidewalls under the same conditions. In general, low profile tyres designed for large rims are of highway-oriented design and construction. There are exceptions, but these tyres will have thinner sidewalls and less aggressive tread − designed to grip on tar, disperse water efficiently, and provide a quiet ride. Longevity will generally be on the lower end of the scale and grip on the higher end. Low profile invariably means wider, too. This spreads the load and improves grip, but also adds to rolling resistance. 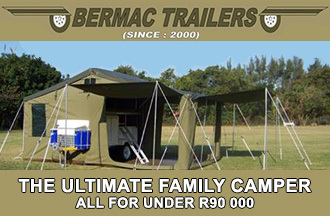 A wide low profile doesn’t come cheap, and nor will the specific size designed for your SUV be widely available. Porsche, for instance, will charge you R5681 for a single Michelin Pilot Sport 295/35 R21; while the supposedly off-road capable Disco 5 is available with the massive 275/45 R22 Pirellis which will set you back over R6k each. So, why would you be nervous about taking your Cayenne Turbo off the tar? It’s super-simple, really. Highway terrain tyres perform at optimum when they are inflated to road-going pressures. Even then, there is not much of a gap between the protective layer of rubber and your very expensive rim. Fact is, punctures are the bane of any 4×4 driver, and a thin sidewall coupled to a very small area of deflection means that your tyre is less able to absorb the shocks of hitting stones or snagging on gnarly roots and branches. A common symptom of a low profile tyre hitting road debris or a pothole too hard, is either a complete blowout or, more commonly, a bubble – both are irreparable and necessitate a replacement. This makes driving on simple gravel roads a hazard, even over short distances. 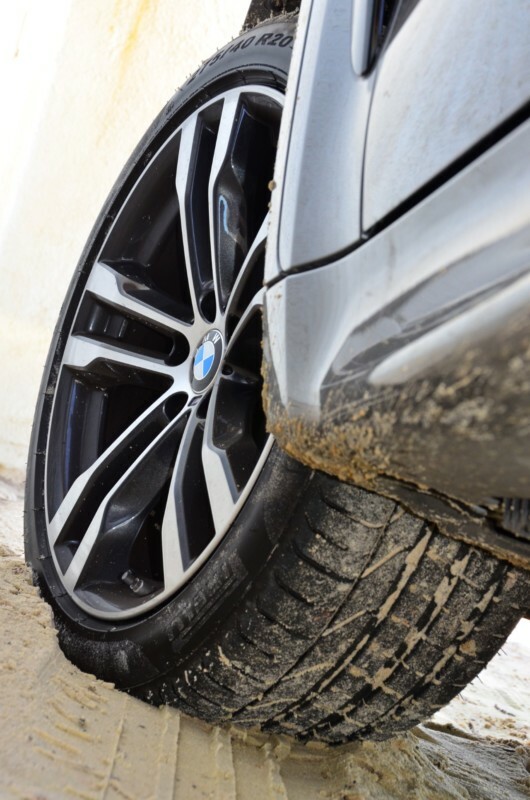 The difference between a low-profile and high-profile tyre can be compared to walking over sharp stones in just your socks, or in sturdy hiking boots. 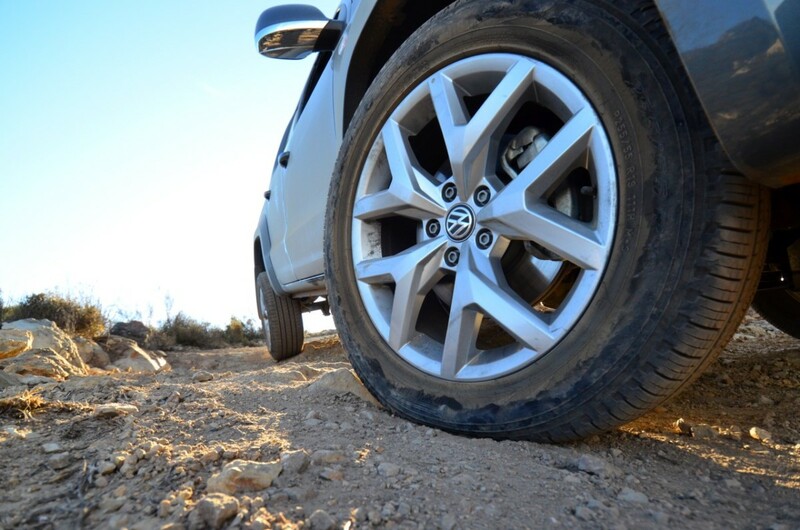 The key way to improve traction off-road is to reduce tyre pressure. This is the first thing you do to extend the contact patch of the tyre. Unfortunately, low-profile tyres don’t leave much room for movement here. Even a small percentage of deflation below standard running pressure (no more than 20% is recommended here) allows the sidewalls to bulge, exposing them to added puncture risk and bringing those rims even closer to potential damage. There is a massive difference in traction in soft sand in a low-profile tyre, compared with a chunkier mud-terrain, as seen here. 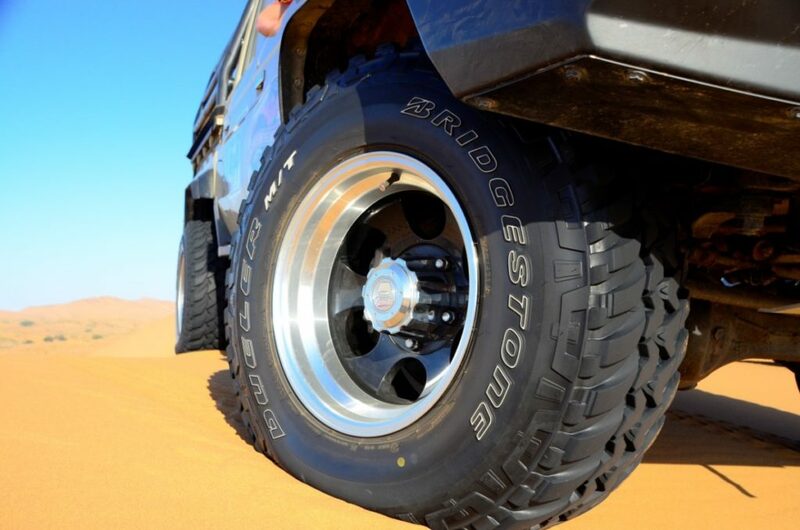 There is not much rubber available, anyway, to wrap over rough terrain and absorb shock loads; and without deflation in the 4×4 armoury, you can’t easily enhance traction in sand, or when traversing muddy or rocky surfaces. Remember that your 4×4 is only ever as strong as its weakest link; and, more often than not, that link is the tyre. 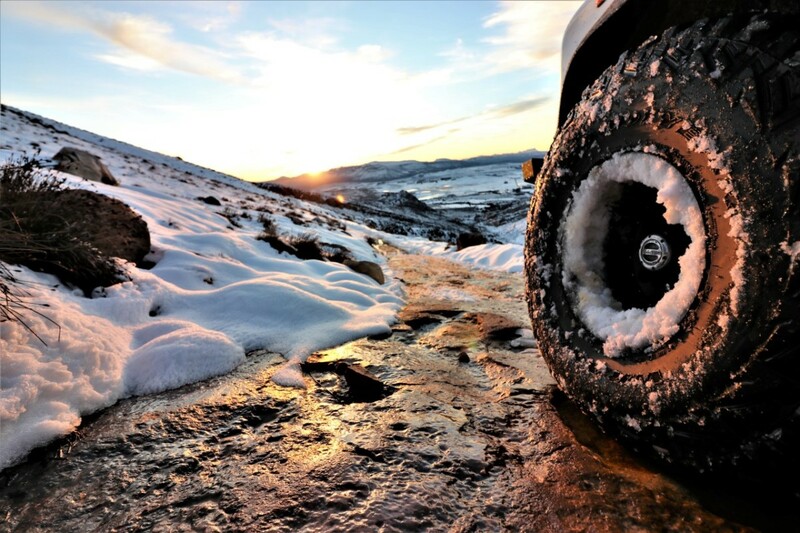 It is a supreme irony that so many vehicle manufacturers devote huge resources to developing sophisticated four-wheel drive and traction-enhancing systems, but then render them almost useless for slow trail crawling by fitting giant rims and low-profile tyres. Out in the bush, far from a tyre dealer, two punctures in succession will stop you dead in your tracks. Going places? Get the right rubber. 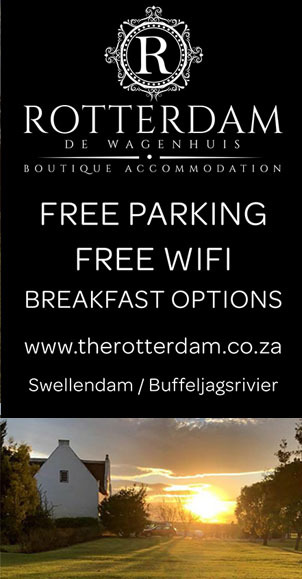 With special thanks to Johann Viljoen of 1st Alignment Centre.